This spotless GS 40 is set up for racing and serious sailing. But it's the crew that deserves a special mention. Oscar and Mauro are sailor coming from another age, maybe even from another world. Oscar is a spotless skipper, who sailed everywhere and in any condition. Brought up in the Naval academy with Straulino, he spent most of his life wandering around and collectingo stories to tell. It's definitely our favourite skipper for culture and art cruises. Oscar is sea culture on two legs. Mauro is an outstanding cook and the pair is really worth a cruise. You won't sail with anyone else afterwards. 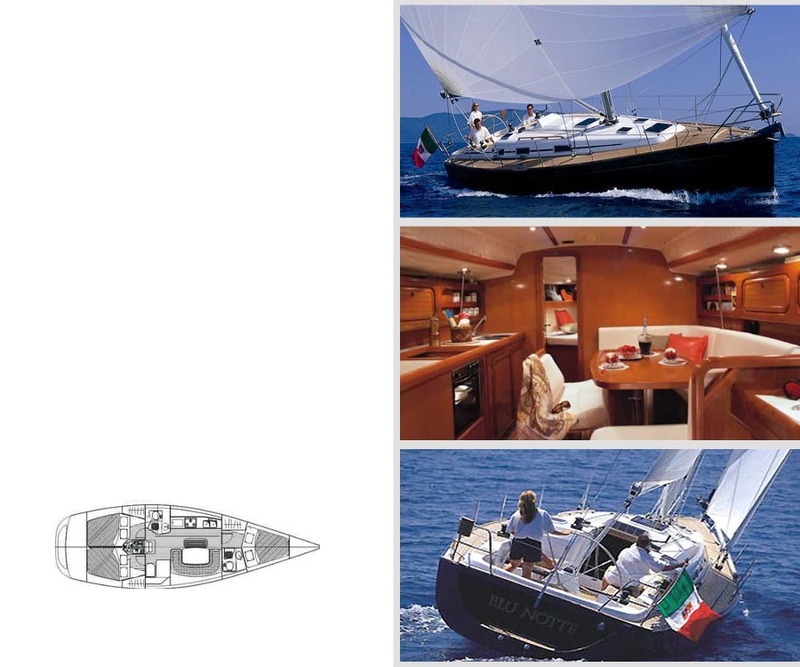 The GS is also available bareboat. Oh, by the way, her name is... MOJITO! !